Donald Trump had the Biggest In-Person Inaugural Crowd Ever - Fact or Myth? Trump had the largest in-person inaugural crowd in 2017. 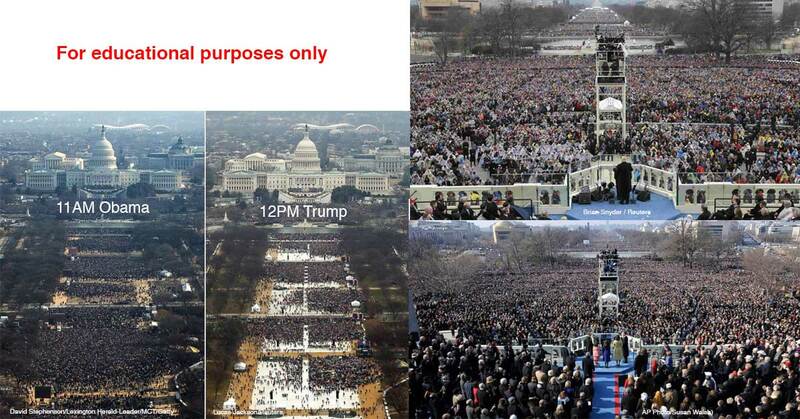 Did Trump Have a Bigger Crowd at His Inauguration Than Obama Had at His? Since the general claim going around is that Trump did or didn’t have the biggest in-person crowd, we will fact-check that and not the less verifiable, but far more reasonable assertion, that he had the biggest total turnout via all sources, including online and TV, combined. Opinions aside, the fact is, Trump’s in-person crowd was average for a Republican (if not a little above average according to current estimates cited below). This shows that Trump is fairly popular, for a Republican (see data below, this is a literal statement, not a judgment call). Despite the impressive and respectable numbers, this was not “…the largest audience to ever witness an inauguration — period — both in person and around the globe” as Press Secretary Sean Spicer claimed. Instead, this is, as Spicer later corrected himself, [here paraphrasing his interview with Hannity], “maybe true if you combine in-person and around the globe, both online, on TV, and on the streets”… but this is a “belief,” not a fact. The fact is, regarding all viewership… we still don’t know for sure (well we know in-person, and TV was an overall lower turnout, despite Fox’s very impressive ratings, but for online we don’t know). Trump’s crowd size was impressive, but to say it was bigger than Obama’s crowd size is a falsehood as you can tell from the video below which shows live time-lapse aerial footage or the image below comparing the front and back. As you can see they both look impressive from the front, but from the back, Obama’s clearly looks bigger. Looks don’t prove anything alone, but the general data seems to back up that our eyes are not lying to us. NOTE: Please note the comparison image is used for educational purposes only, citations are on the image. You may think the 12 pm one is capturing the crowd at a low-point (I did), but the time-lapse footage shows that this is as big as the crowd got. You could claim people weren’t supposed to walk on the white coverings but there are thousands of people freely doing so. You can say people are in the streets, or somewhere else, but we have seen no evidence. Feel free to comment with any further images below; we are earnestly just concerned about the truth here. Trump’s Crowd Size Compared to Obama’s. For educational purposes only. As you can see both look very impressive from the front, and that isn’t your eyes lying, they were both impressive. As you can see from the back, Obama’s was bigger. See aerial video below for more proof. The above is true essentially any way we look at it in spite of all Spicer’s initial quips about metro numbers, estimates of data, no one having official numbers, aerial images, grass coverings, the weather, or anything else (all of which are debunked here and elsewhere). 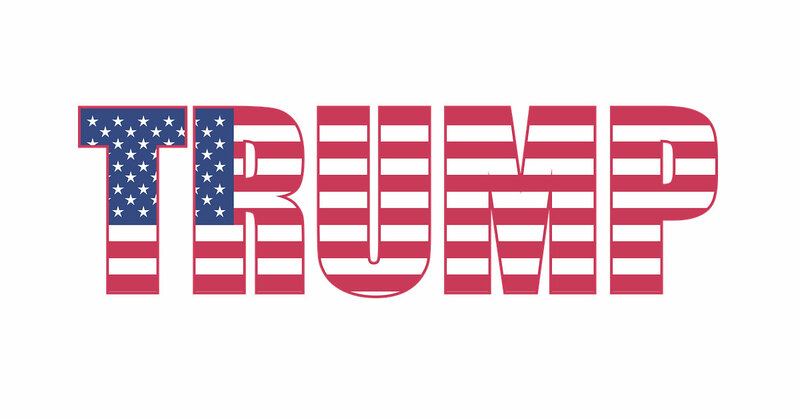 Some media may have made Trump’s look small on purpose, maybe to troll him, maybe to play politics. One must consider that Trump also questioned whether Obama was a Kenyan or Muslim, so what is it that everyone was expecting? Trump’s crowd was not bigger than Obama’s; it wasn’t “the biggest” in-person, and it wasn’t the biggest on TV according to estimates below. We’ll have to wait to see if it will be the biggest worldwide all sources considered, but we can, for now, say, it just was what it was. The facts are the facts. NOTE: Something was “bigger” on that Saturday when Spicer spoke. As Spicer held his conference, people around the world broke records as [what is likely] the largest Demonstration in modern history occurred, “the Women’s March,” a march in support of women’s rights and equality of the sexes in light of an activist-right American presidency which includes upcoming measures to allow for discrimination of LGBT and women. The attention paid to the debate over the facts regarding crowd size unfortunately drew attention away from the march and the growing number of executive orders passed around and following the events, including an immigration ban signed on International Holocaust Remembrance Day which came in conjunction with no mention of genocide against the Jews by the White House and resulted in legal immigrants being detained. See a List of Trump’s executive orders from Fox News. TIP: The crowd looks way bigger from the front where Trump was standing. It is reasonable to believe he believed his crowd was the biggest. However, as new data comes to light, we can confirm that this was not the case. There is only one truth. The mandate isn’t to get the truth right every time; it is to make an earnest attempt to report it. Watch a timelapse of the National Mall on Inauguration Day. This time-lapse video proves Spicer wrong in real time. Many in the media were nervous about something that is provably false being presented as true, but to be fair to Trump’s team, charges of fake news aren’t always fully unfounded. Still, if the answer is “we need more honesty and integrity” Trump’s PR team is hardly setting the right precedent. We aren’t saying Spicer lied purposefully; we take his word he didn’t. But the door was opened for the conversation, and thus we have it. According to a New York Times analysis, the crowd at the National Mall was about one-third the size of Obama’s in 2009. As you can see from the numbers above, this is roughly correct. As you can see from the data above, Trump just had an average (for a Republican) turnout. This makes sense honestly if you consider, generally speaking, Republicans are favored by a rural minority in modern times, not a majority and that Trump won based on the winner-take-all system, not the popular vote. In words, given the other numbers floating around, the actual crowd is similar to what would have been reasonable to expect. With all that said, Trump’s inauguration also saw lower numbers than Obama’s in television ratings—30.6 million viewers tuned in on Friday, about 18% fewer than the 38 million who watched in 2009. So, we know when Sean revised his statement to say TV, internet, and live, that at this point for the statement to be true internet must account for all the differences and the exceed the numbers. This story got overblown, and the media did not help by sensationalizing those awkward aerial photos and Trump and his PR team did not help by doubling down on provable falsehoods in return. Trump didn’t have the biggest in-person crowd, or most TV viewership… we can’t prove whether more people watched online or not, but we can generally debunk the claim. The sad thing is that this took away from reports of the women’s march and took away from the fact that, for a Republican, Trump had a pretty good in-person turnout. Now, if his PR team will stop scaring the 1984 into everyone, maybe he can win over some of the 60 million plus Democrats who didn’t vote for him. Trust is earned by ensuring good policy and speaking frankly to the people. That is what is going to result in bigger crowds. Only so many people will come out for hope and change no matter who runs, the rest only come out for results. It is instructive to read the American Legislative Exchange Council’s program and plans on http://www.alec.org. Funded by the Koch brothers and other very conservative wealthy people, ALEC was founded in 1973 as a “voluntary membership organization of state legislators dedicated to the principles of limited government, free markets and federalism.” With a budget of over $8.5 million (2013), this federally tax-exempt nonprofit supports candidates at in school board and other local elections, and in state-wide elections. Concurrently, ALEC develops and promotes model legislation and regulations to establish laws that conform to its very conservative ideals. In collaboration with its private sector business members, ALEC has promoted over 800 pieces of well-crafted legislation on everything from abortion to reducing EPA regulations to “stand your ground” gun laws to voter ID requirements. Many of the elected officials it has supported have successfully passed this legislation at state and local levels, thereby shifting local politics to the conservative right. Because the United States is a Constitutional Republic and not a direct Democracy, this strategy has been very effective in moving states toward ALEC’s conservative agenda. It is the state legislatures that draw voter districts and determine state voting requirements. With right wing-controlled legislatures and state houses, this means that the local, state and federal voting districts are manipulated to favor the ALEC agenda. This strategy also takes advantage of low voter turn-out for elections at the local and state levels, especially in non-presidential election years. With clever strategy, a lot of funding, and diligent attention to its agenda, ALEC has been very successful in creating fertile ground for our current political situation at the federal level. The current president’s goals and objectives mirror ALEC’s position papers, which are available for anyone to read on their website. The list of state legislators who are members and business supporters are also listed. I encourage people to review these, to understand the US Constitutional Republic, and make more informed decisions for ensuring that the Republic continues to be rooted in democratic principles. Yeah, 100% true. ALEC is to Republican State-level government what Cheney was to Bush… in charge. Haahhaah… half-joking.